One wintry morning in Dubuque, Iowa, Kelley Strickland gets "triggered" by magic after reading from a strange book she shoplifts. And her twin brother Jeroan meets an old man who infects him with magic as well. Soon there's an outbreak of contagious magic in Dubuque, Iowa. When they find themselves hunted by an ancient, power-hungry Sorcerer and his over-sized operatives, Jeroan and Kelley must act, before this wild epidemic of magic turns deadly for them and all of their new friends. And as if that wasn't bad enough, one stormy night the twins lose all their magic, along with their parents. The twins have to work together for the first time in their lives to get their parents back and restore order-and magic-to their world. 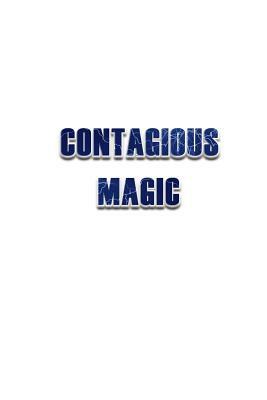 Contagious Magic collects A Sudden Outbreak of Magic, A Wild Epidemic of Magic, and A Lasting Cure for Magic. Michael Jasper is fascinated with exploring the places where the normal meets the strange. In pursuit of this fascination, he has published nine novels, a story collection, and over six dozen short stories. He created and scripted the groundbreaking, nine-issue digital comic In Maps & Legends with artist Niki Smith. He also runs the publishing company UnWrecked Press. Michael lives with his wife Elizabeth and their two amazing sons in North Carolina, where he's always working on one to three creative endeavors at the same time, which you can track at michaeljasper.net.